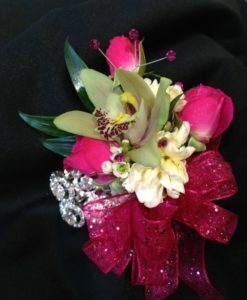 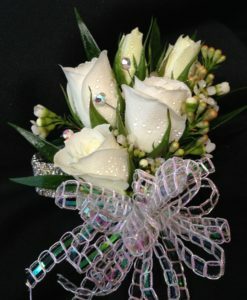 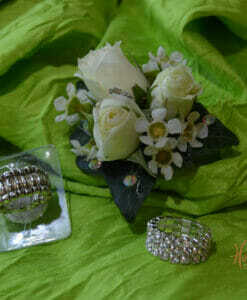 This corsage is the perfect mix featured on a specialty rhinestone wristlett. 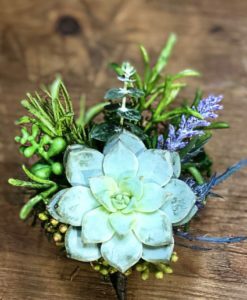 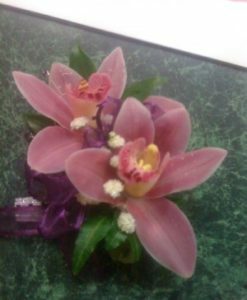 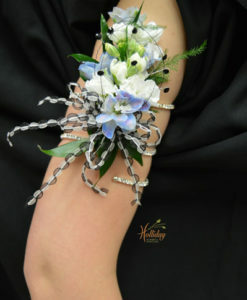 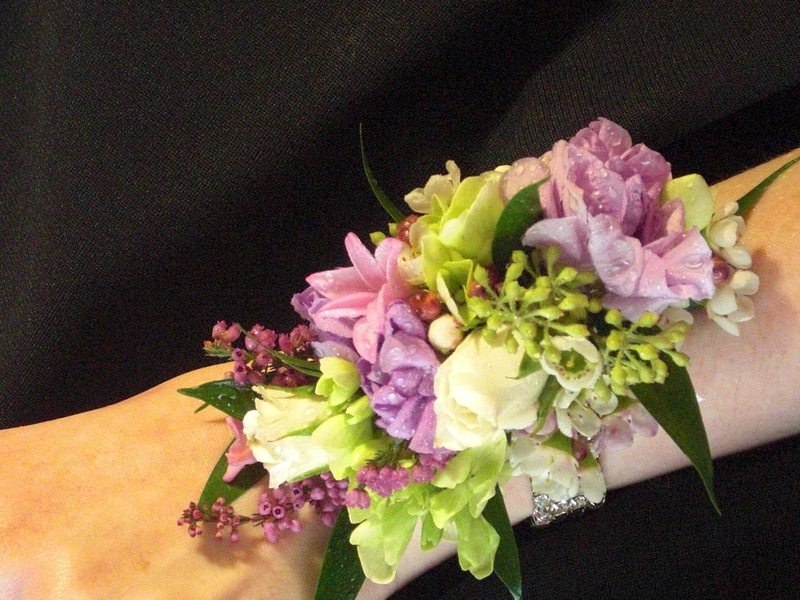 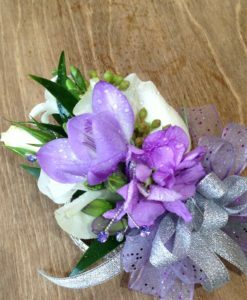 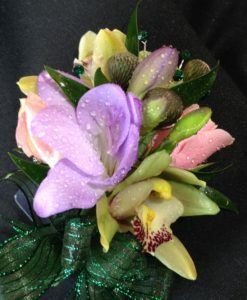 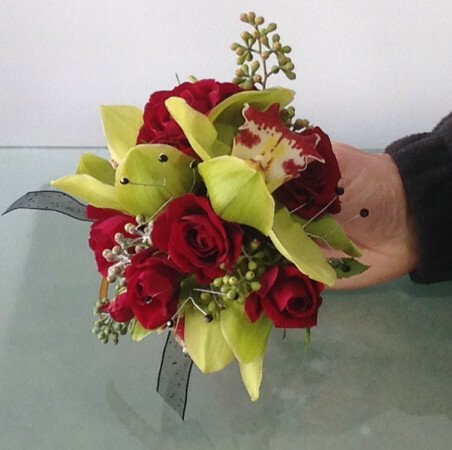 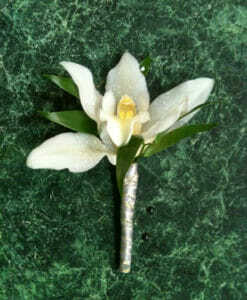 This corsage does not have a bow. 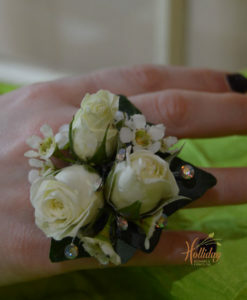 This is perfect for the girl who does not like bows. 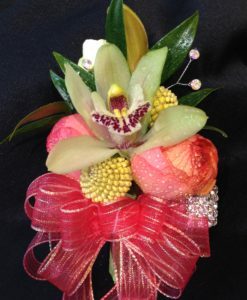 Any type of flower and a array of colors could be done in this design.